Spacious facilities (including a great kitchen)... FULL OF LIFE AND ART... both the young and young at heart will feel right at home. A bright and cheery four-floored veteran that packs its hostel-loving travelers into rooms of all shapes and sizes. Boosted by its truly friendly atmosphere, this a good option if you like rubbing shoulders with fellow travelers and being within walking distance of the city’s highlights. (…) A great place to mix with fellow backpackers, this hostel has an array of self-guided tour flyers available (…. )While you’re at the hostel, check out the mural on the exterior wall – complete with ‘residents’ peeking from its painted windows. …the lodging is clean, modern, and welcoming throughout. There’s also plenty of room to relax. 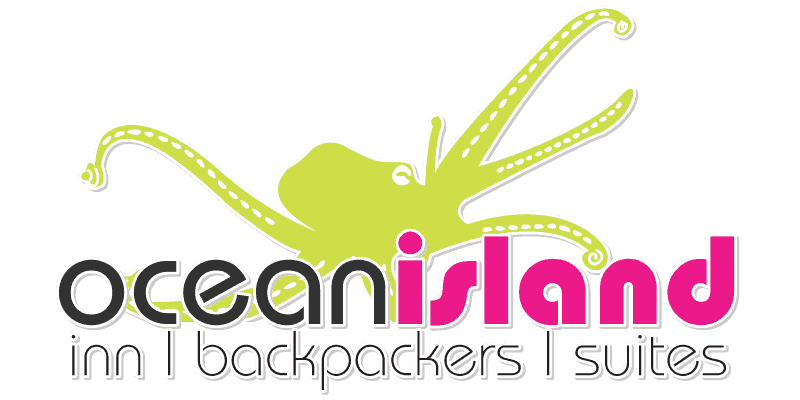 Ocean Island is more than a hostel, it’s an experience–an experience akin to being kidnapped by 100 of your closest friends… The large exuberantly friendly place has about 150 beds and spacious common areas. Amenities include organized hiking trips, parties… a licensed cafe, internet access, bike rentals and 24-hour staffing. If you’re looking for plain ol’ fun, staying at this super-colourful [inn] near downtown is a good start… friendly, attitude-free staff. All sorts of travelers make their way to this inexpensive, centrally located hostel (an alternative to the Hostelling International network), from families with children to on-the-go seniors and young adults with global wanderlust. The big, comfy lounge/common area always has all kinds of stuff going on, including live music and open-mic evenings. You can buy cheap meals and snacks, use the kitchen, or kick back with a beer or glass of wine. In addition to the dorm rooms there are 60 private rooms, in various configurations, including some with their own bathrooms. 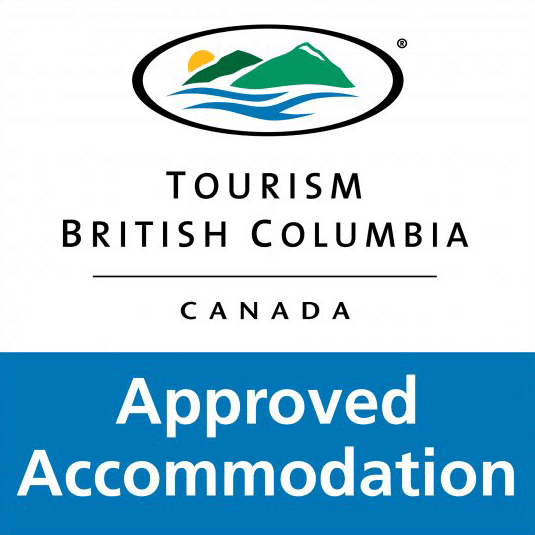 The staff here goes out of its way to help guests make the most of their time in Victoria and on Vancouver Island. The backpacker grapevine is full of praise for this fun and friendly downtown hostel. Impeccably managed by a thought-of-everything owner, the historic warren of a building boasts 60 private rooms (three of which have private baths), several 6-bed dorms, secured entry, heaps of travel information, a shared kitchen, and, best of all, an evening snack and beer lounge hopping with planned events—twister tournament anyone? You can even borrow a guitar for open-mike night. Ask for a 3rd- or 4th-floor room if you want an early night. 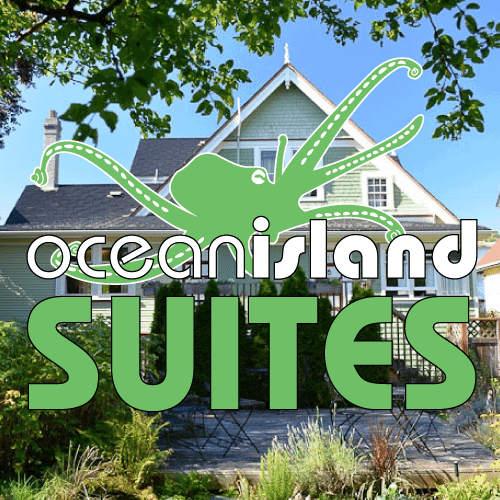 Seniors and families mix well with the clean-cut young crowd, but ask too about the Ocean Island Suites ($), self-contained accommodations in nearby James Bay. This colorful hostel boasts a better lounge than many clubs, a fantastic staff, and accommodations comparable to many hotels. 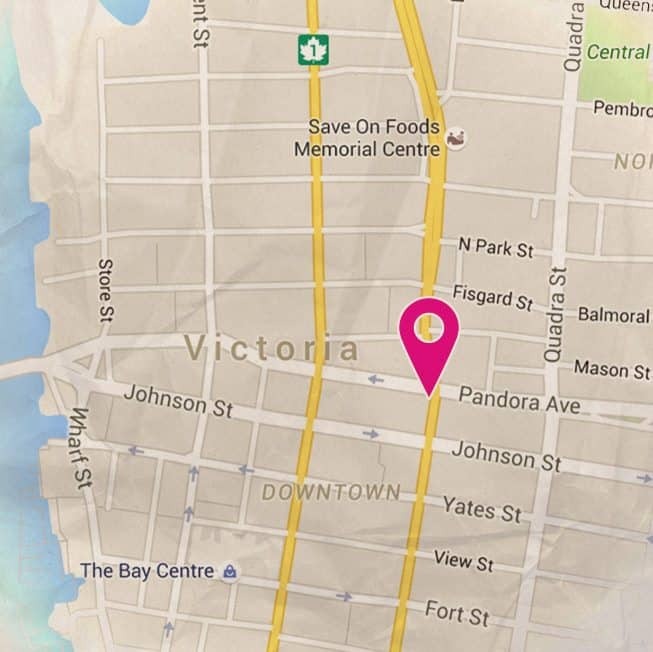 Undoubtedly one of the finest urban hostels in Canada. 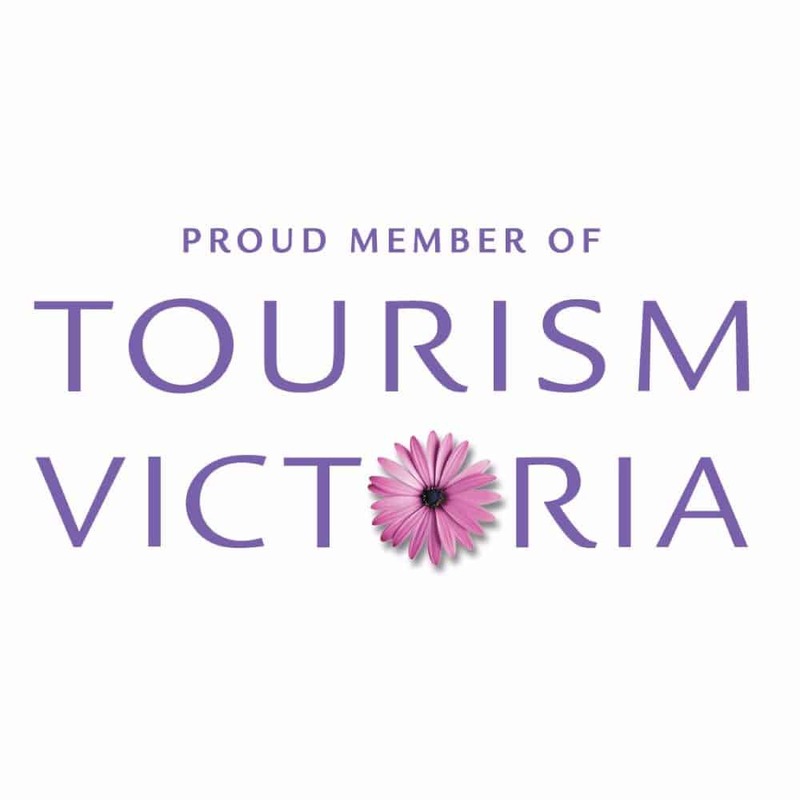 The Victoria Guide on their website is a great and in depth guide to some of the more out of the way places in the city. The Ocean Island Inn is by far the best hostel I have ever stayed in, and I have travelled widely. I spent two weeks there whilst trying to find an apartment, and was impressed by their whole operation! The staff are incredibly friendly, fun and endlessly helpful; the rooms are clean, cosy and comfortable; the facilities are extremely broad and up to an excellent standard; overall, I don’t have a single complaint and cannot give praise enough. We stayed in a private double room, it was very clean, comfy bed, bathroom was clean, cool art. Staff were awesome, especially with directions!! Booked a micro double room for the weekend, it was even better than we expected. The room was cozy, with a comfortable bed, clean linens, a small fridge, and foldable table with one chair. 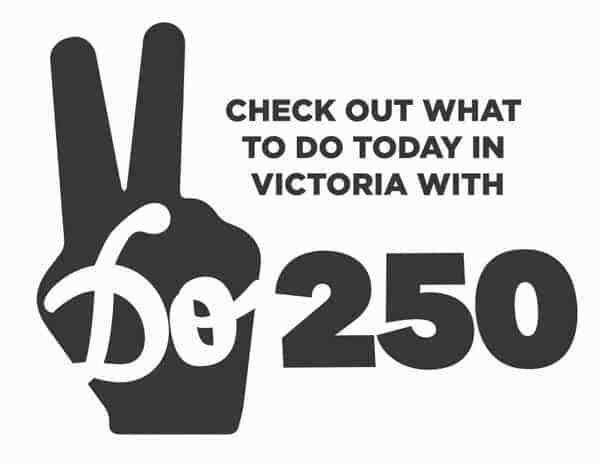 More than enough for those who just want to sleep the night in downtown Victoria. Location - great. Dinner and breakfast - great. Everything was clean, including the shared bathroom in our rooms block. Thanks and keep up the great job! Best stay so far. Lots of amenities, very very friendly staff, clean and hygienic, perfect location near the bus stops and lots of restaurants. I took a single private room, it was very spacious, warm with a comfortable bed and other accessories. The washroom was big and very clean. The prices are super affordable, and rooms are really homey and cute. I loved it! It’s downtown, surrounded by awesome thrift stores and a great breakfast place. Good location, clean rooms and the included breakfast, dinner and drink is awesome! The opportunity to book local attractions at their reduced rate is another bonus. Would definitely recommend. I can not recommend this hostel enough! We had a great stay and were made to feel so welcome as soon as we walked in the door. The security there is great so you feel safe but also there is a real community vibe. You getting free dinner and breakfast, what's not to love! The facilities were very clean and cleaned on a regular basis. The WiFi was strong and worked well even in the rooms, all the staff there are so friendly and happy to help. Staying here is a must! We stayed in a private double room, it was very clean, comfy bed, bathroom was clean, cool art. Staff were awesome, especially with directions! Really nice stuff! Free breakfast AND dinner AND one drink a day which is awesome if you are traveling on budget. Great space and open people, so easy to meet new faces! I would definitely recommend this hostel. Pleasant. Inclusion of breakfast, dinner and a cocktail were a bonus. A very welcoming experience. Location: Excellent downtown location. Such an amazing place. The staff are incredible. The food, the accommodations, the people and the lovely environment. A must for anyone looking into hostels and even people who are not muat experience such an amazing place. I hope to one day soon come back for a longer stay. This is one perfect place! Friendly staff, clean and comfortable, and everything you could ask for. Like a bed and breakfast but better -- unbeatable price and amazing breakfast! Didn't use the free dinner and free drink or the local discounts, but appreciated that they were available. Excellent location. Hope to come back again sometime! Fun and lively atmosphere with beautiful meals included. Great hospitality and a seamless experience. Amazing hostel! I stayed for two nights in a private room. Central location, hospital-grade cleanliness, relatively quiet, friendly staff, good atmosphere and free breakfast + dinner every day! Thanks so much!